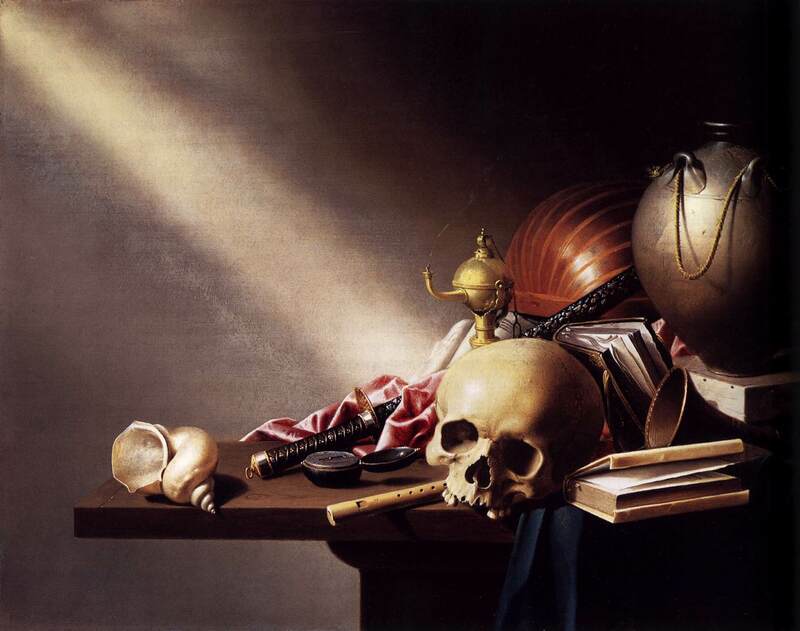 ‘Vanity of Vanity, all is vanity,’ lamented the author of Ecclesiastes (1:2)… Examples of ‘vanitas art’, so named in tribute to Ecclesiastes, were hung in domestic environments, most often studies and bedrooms. Each still-life featured a table or sideboard on which was arranged a contrasting muddle of objects. There might be flowers, coins, a guitar or a mandolin, chess pieces, a book of verse, a laurel wreath or a wine bottle: symbols of frivolity and temporal glory. And somewhere among these would be set the two great symbols of death and the brevity of life: a skull and an hourglass. You know, inevitable downward mobility and death might not seem so bad if they weren’t also coupled with a loss of control. No that you asked, Sir. I suspect you are simply surmising, but may I interact with your statement? I hope so: Yes, I would say that is a big part of the “appeal of suicide”. To “control” the outcome, the pain, the anger, etc. feels good. To be inflicted by someone/something else, even our own emotions, feels bad, like torture, and it just needs to stop. If you are alone in it all, then it feels like death has already come, what’s the harm, right? But if someone/something taps into that place of loneliness and torture and expresses ‘You are not alone, you are not a big mistake, it is good that you exist’, etc. it becomes bearable. Then a “loss of control” in life can bring freedom, of sorts, in knowing it is not a battle of wits or of keeping up with the Joneses or anything like that…existence is given, it is a mystery. Hearts hold depths that are not soley dust and ashes. There is more to see than meets the eye…and it is okay to not “control” or understand all that that entails, because then discovery is all, as one discovers the earth and all it contains. As if viewing an artist’s workmanship: It cannot be contained, it can only be observed, wondered about, shared. A quandry at times. I believe there is one God. He exists in 3 persons. He created this world. He created me. I sin against Him. I need to suffer the consequences for my sin. I do suffer within this life, but I do not get what I deserve: the death of my soul. Jesus the Christ took that consequence. He is the “lamb of God that takes away the sin of the world”. The perfect sacrifice that went to death and overcame it, living again after 3 days dead! He is the way, the truth, and the life. I now live in him and will continue to live in him after my physical death comes for me. It is the only way to live. He CAN handle the truth, unlike what Jack Nicholson’s character accussed Tom Cruise’s character of in A Few Good Men! Now if I could only believe what I just said fully and all the time, and in the days to come! Lord, send your word. Open ears to hear. And help in unbelief. Amen. *Not that you asked, Sir. One of my very favorite books. Great comment, I agree with you. My point (echoed elsewhere here on Mbird) is just that we tend to fear “losing control” more than almost anything else. We rarely see it as freedom, but instead our default mode is to see it as the onset of chaos. 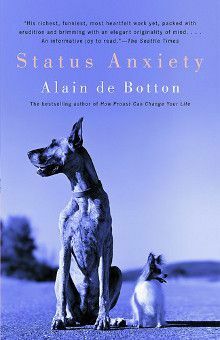 We’re too curved in upon ourselves to see things as they really are, and so it is very hard to have the perspective Alain de Botton writes about above. That’s a fearsome place to be, unless love breaks through. And even then, it is hard for us… so (as you said) we need reminding every single day. “I’m the Sheriff around these parts” and no ones killing themselves around here…like I was in charge, huh? We must all be in the same boat, and that is good because I, for one, do not want to be riding solo down this wacky river of life!